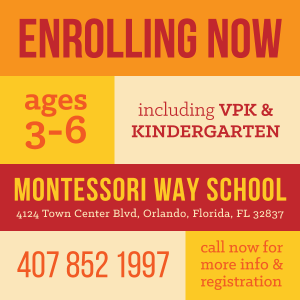 Welcome to the website of the Montessori Way School, located in Orlando, Florida. 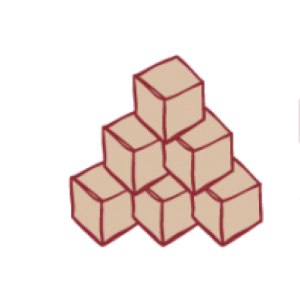 Montessori Way School (MWS) was established in 1995. At first it started in a beautiful home environment where children thrived learning independently by following the Montessori method and the philosophy under the supervision of a Montessori trained Directress and interns. In 1997, due to the rapid growth in the Hunter’s Creek community and the increasing demand for alternative education, Montessori school began its search for an ideal location and setting. We found a beautiful tucked away location in Hunters Creek at the All Saints Lutheran Church where the Pastor and its members welcomed Montessori Way School into their brand new facility. Since then, the school has grown and continues to be surrounded by a group of loyal and devoted families, many of whom participated in the establishment of the school. As their families grew they continued their commitment and loyalty to the school and share this legacy with the new families who join us every year! In late 2010, Montessori Way School made the decision to move into its own space. We are happy to announce that we have moved to a prominent location in the heart of Hunters Creek community. MWS is 4124 Town Center Blvd located in the west end of the Colonial Promenade. Montessori Way School continues to emit that cozy feel of a school. Our Primary houses ages 2.5 to 5 year olds and Elementary classroom exclusively for 1st grade through 6th grades ages 6-12. We would like you to come see for yourself and get to know us better . Please contact us at 407.852.1997 to schedule a tour.